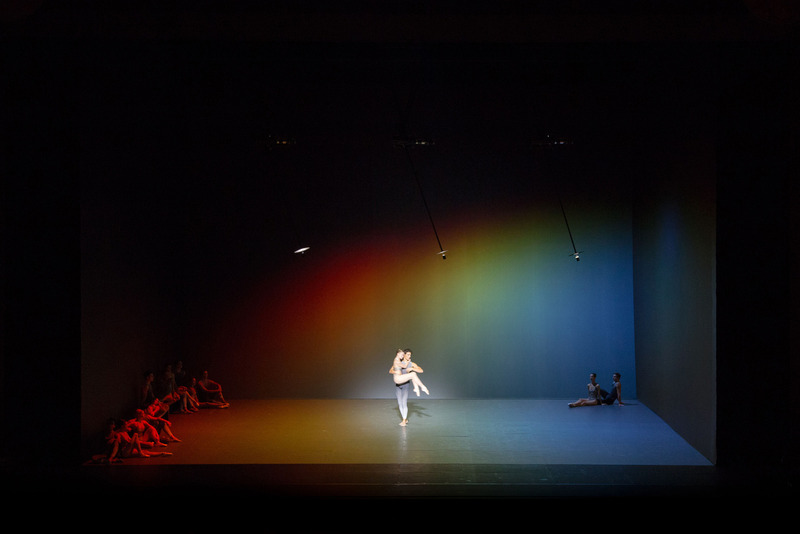 United Visual Artists collaborated with Benjamin Millepied on Clear, Loud, Bright, Forward, an original work that forms part of his inaugural season as the Paris Opéra Ballet’s artistic director. 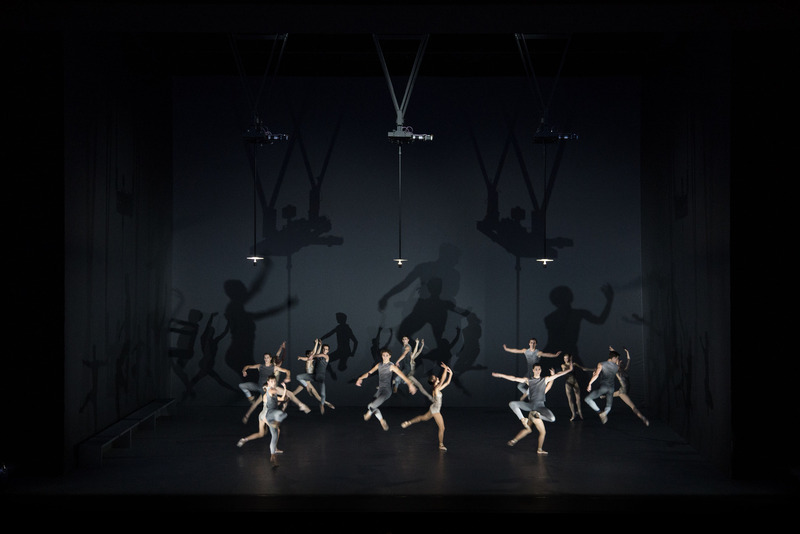 Millepied first invited United Visual Artists to collaborate on the work at the end of 2014 and the project began with a series of conversations and an exchange of stimuli and inspiration such as diagrams of baroque choreography, dance formations and architecture from the same period. 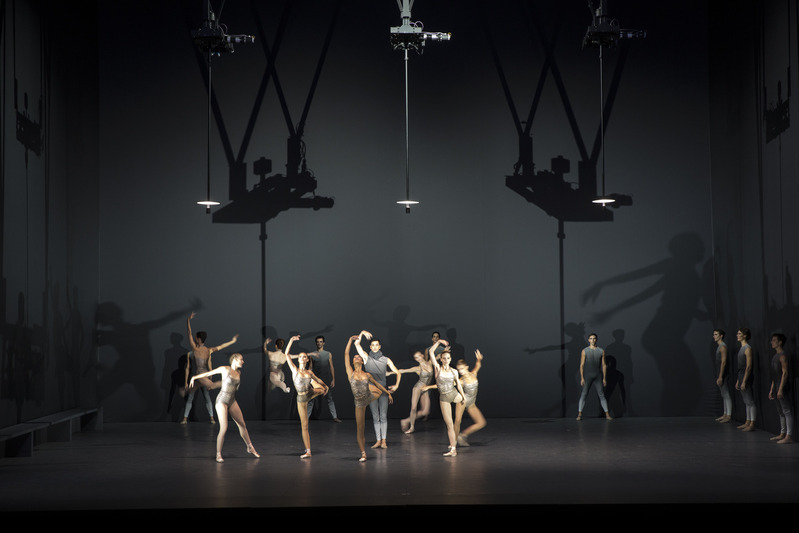 Millepied was interested in setting up a dialogue between the different creative disciplines — dance, architecture and music — with baroque as the common language and from these traditional starting points the collaborators developed their contemporary perspectives on each. 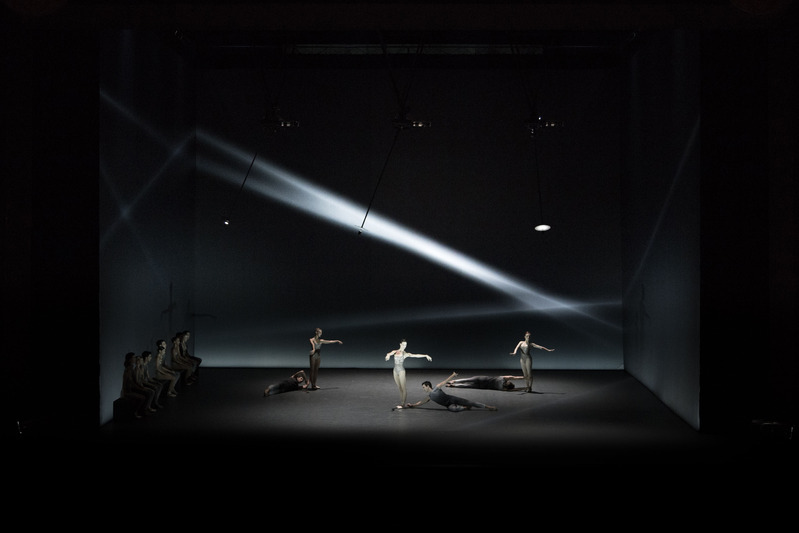 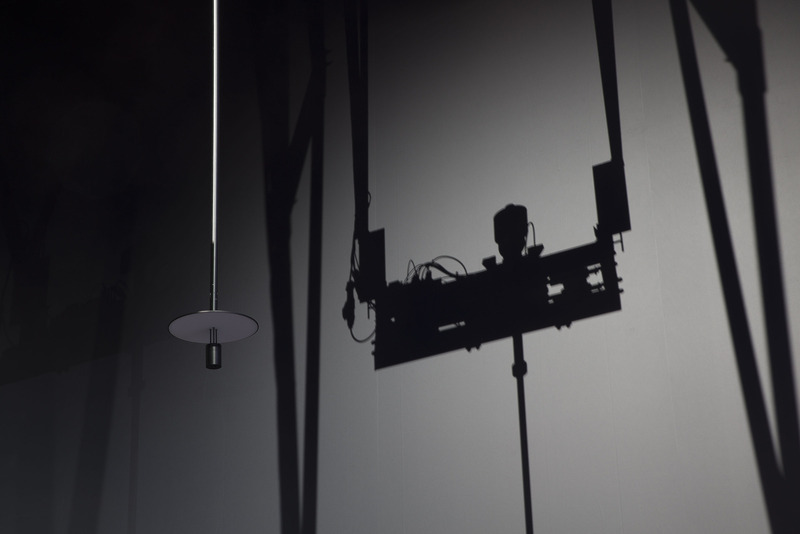 United Visual Artists approach bridged the gap between architecture of the set, choreography and music and plays with the relationships between them. 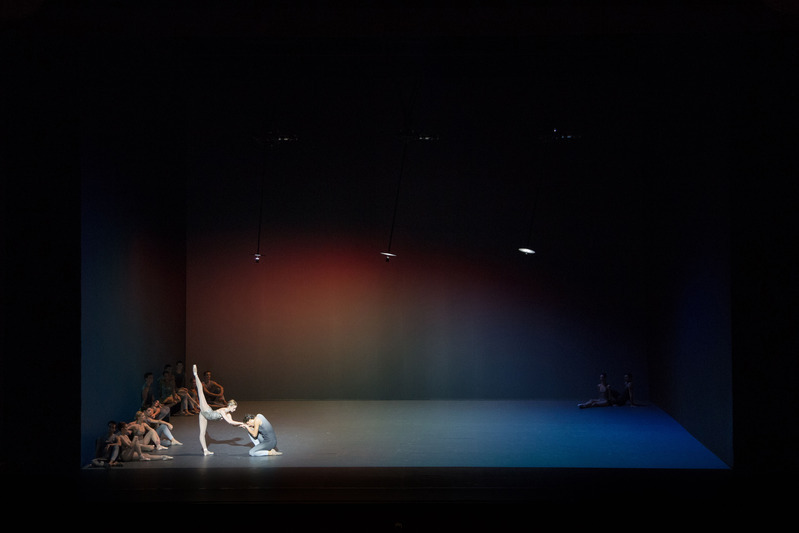 The intention was to create dynamic architecture that choreographs light and space and treats the space like a body, an entity that can move. 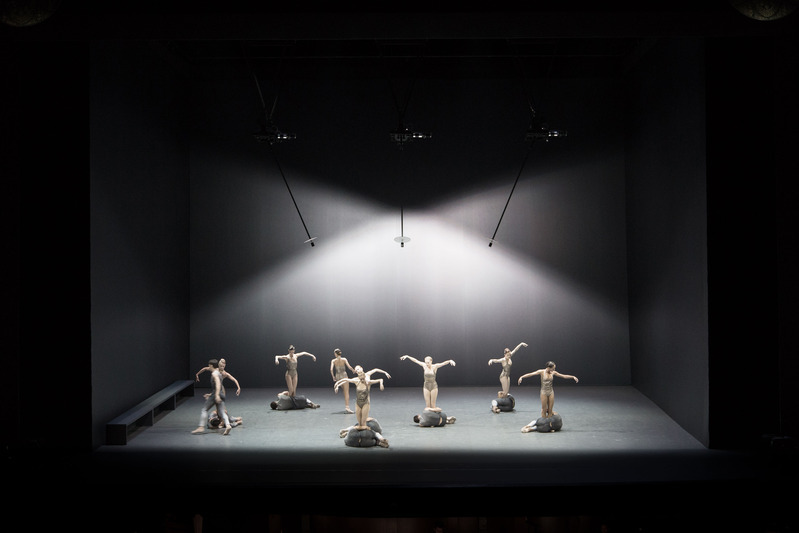 By turning the stage into a spatial instrument, a space that can dance, architecture becomes a performer alongside the dancers themselves. Areas of the stage are articulated in different ways, delineated by either real or projected light controlled through programming. 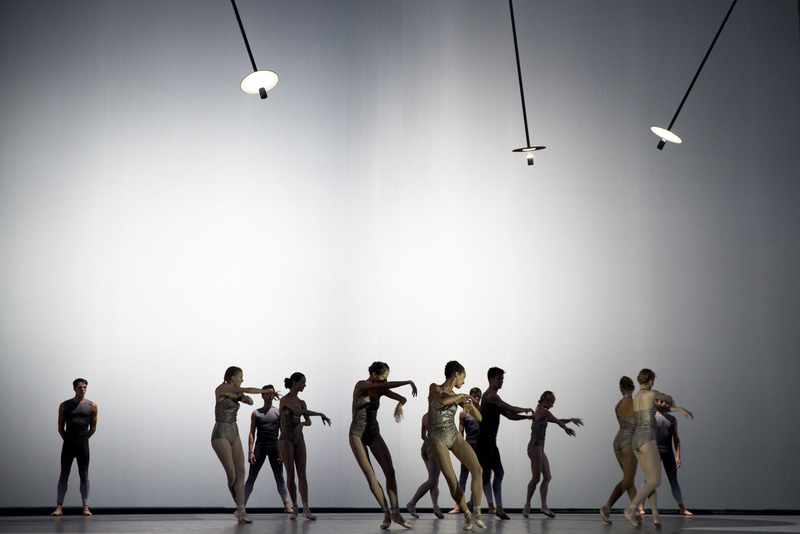 In turn, the dancers also choreograph the space through their movements within it.